I Never Imagined It Wold Be So Easy! I am a big fan of getting money for nothing! Aren’t we all?? Well in this day and age, it is rare that you can find a deal like this that actually works and is actually worth the little time and effort you spend on it. I started using Inbox Dollars a couple of years ago. They send me emails each day with a link to click to view the Paid Email and to receive cash credit for clicking on the link. That is all I do! Click the link, close it out. Click the link, close it out. I do this for each email they send me daily and the cash builds up! You can also respond to and complete surveys for additional cash but this takes more time than I have, so I typically only do the paid emails. Once you reach a $30.00 credit, you can request a pay out. This can be in the form of a check or a prepaid Visa Card. Easy as that! and now today, I am ready to request my next payout in the amount of $35.35! Yes, it takes a while for the cash to build up if all you do is view emails and not complete surveys as well, but the way I look at it, $30.00 + for doing nothing. And I like those odds!! A little extra money here and there for whatever I want. A special surprise to myself. I always receive the checks within a couple of weeks. I am excited to figure out what I am going to spend the extra money on this time! I make sure to use it for something FUN and not paying off bills. They also have a referral program where you can earn cash for friends you refer to the rewards club. 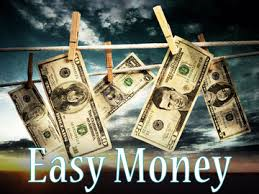 If you are interested in making some extra cash for doing nothing, like I do, then just follow the link below! This is a special link to my referral page so I get the credit for you signing up. Give it a try and see what you think about it, what can it hurt? Nothing but a little extra cash in your pocket! It is free to join and you are out nothing for giving it a try. For You Heather – My Past … That Lead To Where I am Today. My Smile – Part One and Part Two – The Evolution.